4021 8-bit stat.shift reg. DIP16 -TEXAS CMOS I.C. 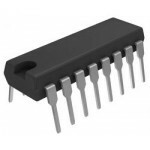 4021 DIP16 -TEXAS CMOS I.C.